August has brought the US Naval Institutes annual “Coast Guard Issue” of their magazine, Proceedings, which is mostly not about the Coast Guard. Never the less there are Coast Guard related articles included and there is one on this side of the pay wall that really deserves the service’s attention, “Ready, Responsive, Relevant?” It looks at the Coast Guard’s Public Affairs program. Its written by Lieutenant Commander Krystyn Pecora, USCG, XO on Seneca (WMEC-906), an Academy graduate and permanent cutterman, a former external affairs officer for District Five with a master’s degree in media and communications studies. She needs to be listened to, because as she points out, the Budget is linked to Public Perception of Value. She found that the program lacked focus, leadership, and resources. In her examination of focus, she refers to a 2001 USNI article, “Branding the Coast Guard” also worth a read. It points out. if 11 strategic teams were developed, each devoted to defining and promoting one of the Coast Guard’s missions. All 11 missions have millions of constituents interested in the specific services the Coast Guard provides. For example, northern constituents care more about domestic icebreaking capabilities compared to constituents in warmer climates. Realistically, the Coast Guard cannot use the same communications playbook for each of these constituent groups. Strategic teams translating national intent to regional audiences through the district external affairs offices would ensure each mission receives ongoing attention to daily operations, akin to the U.S. Navy’s type commander construct. This dedicated effort would be a far cry from today’s whack-a-mole operations in which the service focuses its efforts on the mission currently most in need of acquisition funding. Instead of having missions fighting for pieces of the funding pie, the Coast Guard could grow support for funding all constituent interests concurrently. In addition, this construct takes advantage of the current information environment, in which audiences select news sources that resonate with their personal interests rather than relying on traditional media outlets. 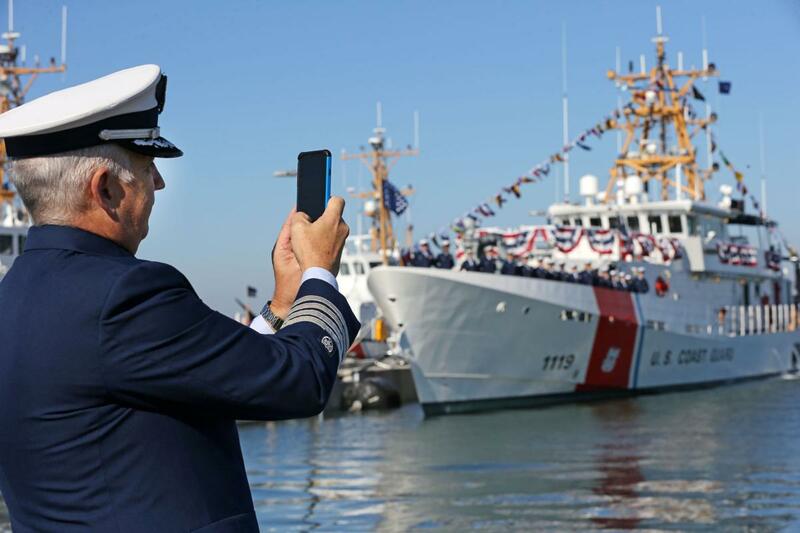 It would not matter which brand image is imagined when asked to envision a Coast Guardsman; that brand image would have been a result of calculated microtargeting based on a person’s region and interests. Compared to the professionalism of DOD public affairs. Please read the entire article, there is much, much more.